Product safety and quality are the key drivers in matters of new product development. Failure to comply with the latest standards and regulations when developing new products can have serious consequences for an organisation with both financial and reputational damage a potential unwanted outcome. As well, up to date training of staff on the requirements of the latest standards and regulations is a key protocol that will contribute to an organisation and its standing in the market. Ensure compliance to mandatory standards and legislation by reviewing the client test report. Advise the applicable mandatory standards for various products. Keep track of any published changes in the mandatory standards. Monitor recalls related to mandatory standards. 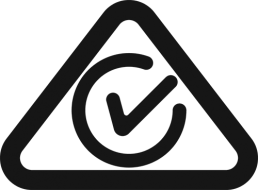 BWES Compliance and Consulting offer a product appraisal service designed to ensure that your product(s) meet the strict quality and safety requirements in the key areas of electrical, mechanical and chemical testing. All testing conducted by BWES is to worlds best practice and you can rest assured that your products will meet all of the latest product and safety requirements. BWES Compliance and Consulting also offer a comprehensive training program to our clients. Areas covered include, an understanding of Australian standards and their impact on products and services offered in Australia, training in the areas of product safety, quality and regulatory compliance. BWES Compliance and Consulting can also offer tailor made training sessions covering one or more areas of the standards as they relate to particular products. Training can be provided at either our or our clients offices. We are unsure if our product(s) require some modification to meet an updated standard or regulation? It’s normal practice for standards and regulations to change. BWES Compliance and Consulting can complete a product review within a very short time. Any necessary changes will be provided to you in a written report complete with an action plan. Our client has requested a statement confirming that our product(s) meet the latest standards and regulations. With increasing awareness surrounding safety and quality, retailers and distributors are increasing there demands on suppliers to confirm if products are compliant to the latest safety standards and regulations. BWES Compliance and Consulting have a great deal of expertise in this field and can provide written confirmations of safety, quality and compliance within 24 hours of receipt of the goods. We have received a customer complaint regarding one of our products. Can you investigate and identify the cause and the fix? In situations of customer complaint it is vital that the matter is investigated urgently. BWES Consulting and Compliance can assign an engineer to assist in the total investigation, undertaking all necessary steps to identify the fault and provide details as to how the fault can be rectified. This can include recommendations for process changes at the point of production.